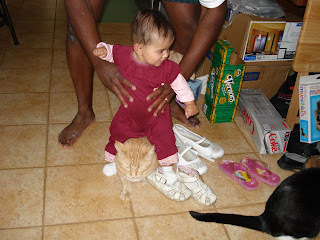 She learned to roll over reaching for our cats...now she wants to ride them! 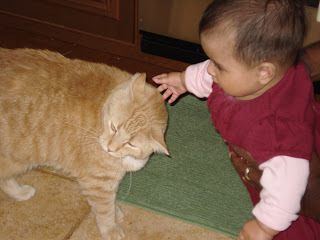 and pull their fur..poor little guys...they just don't know what is coming when she learns to walk...then run!!!!!!! Disclaimer: No cats were harmed making these photos. The cat weighs more than the baby!